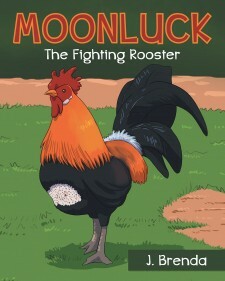 Newest publication "Moonluck: The Fighting Rooster" from Fulton Books author J. Brenda is the story of a little boy named Tran and his pet rooster named Moonluck. When Tran is forced to move to the city, he must learn to say goodbye to his best friend. University Heights, OH, January 29, 2018	(Newswire.com) - J. Brenda never had children of her own, but she took care of many other children throughout her life. She believes that everything, living and nonliving, has a secret and a story to tell. J. Brenda has completed her most recent book “Moonluck: The Fighting Rooster”: the story of a little boy and his beloved pet rooster that teaches young readers how to say goodbye.